Kristin’s Northwest territory includes Washington,Oregon and Alaska. Kristin oversees accounts in Washington, Oregon and Alaska and is devoted to cultivating client success throughout her territory. 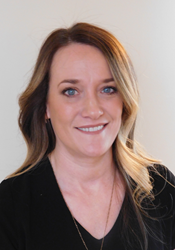 Phytomer Group USA is pleased to announce Kristin Sabin as Regional Account Manager for the Northwest region of the U.S. Kristin is a licensed esthetician and has 16 years of spa industry experience. She has worked as an educator, has been on a treatment development team and has participated in spa openings. Kristin also brings specific knowledge of Phytomer’s exemplary products, treatments and business solutions to the position, having served the brand as Southwest Regional Account Manager from 2011-2014. As she reprises the role, this time in the Northwest, it is Kristin’s duty and pleasure to provide excellent customer service support, training and knowledge to spa partners for the four skin care brands that comprise The Phytomer Group. Kristin oversees accounts in Washington, Oregon and Alaska and is devoted to cultivating client success throughout her territory. “Phytomer has developed an outstanding, decades-long reputation of integrity and support in the spa industry,” Kristin says. “It is important to me to extend that reputation and build a true partnership with each and every account,” she continues. Since early February, Kristin has reached out to several spa partners and is eager to connect with any and all spa contacts within her region. She can be reached at ksabin(at)phytomerusa.com.